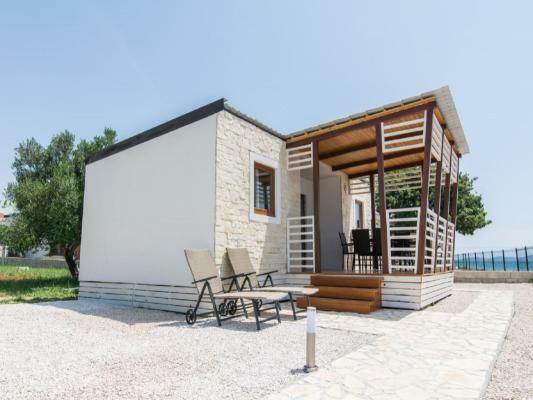 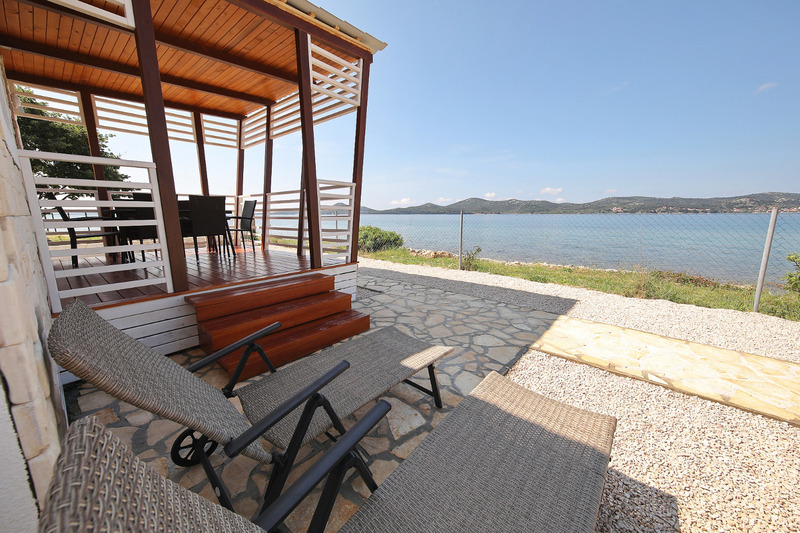 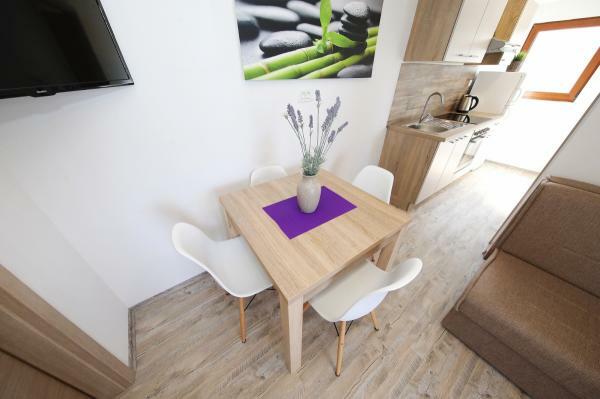 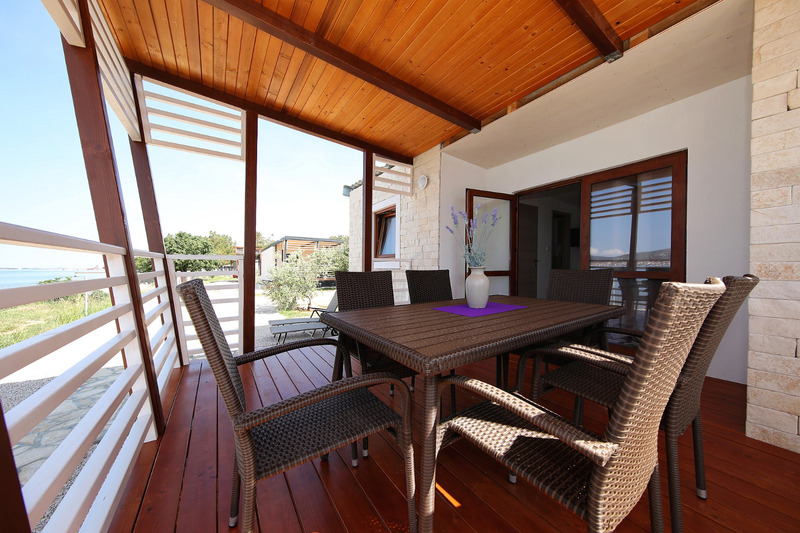 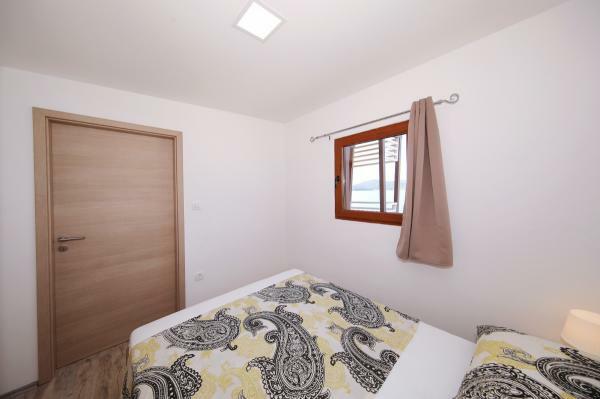 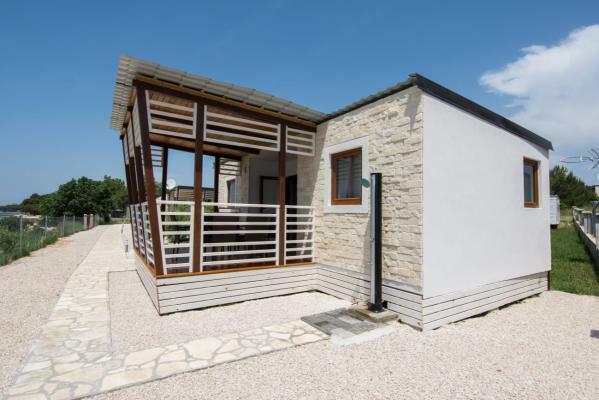 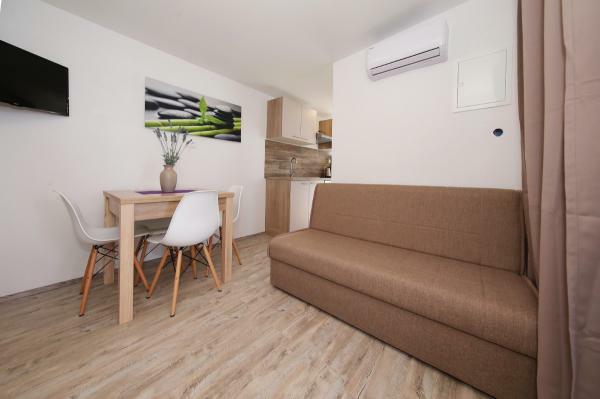 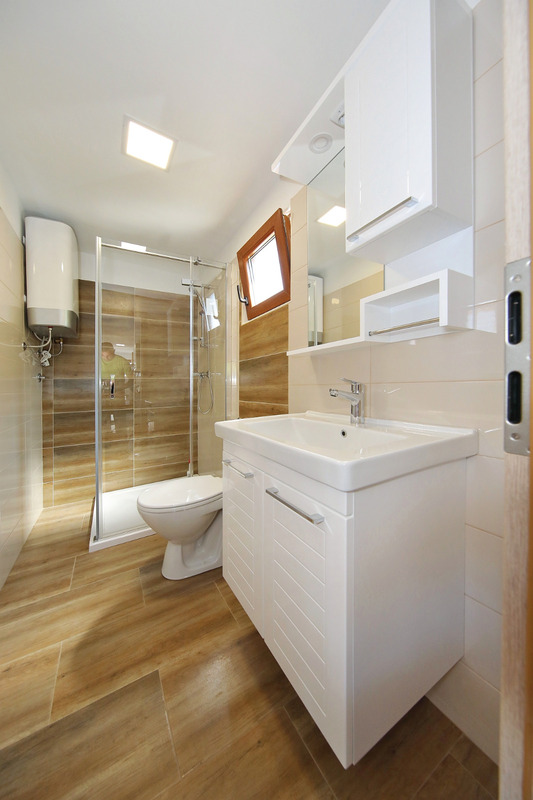 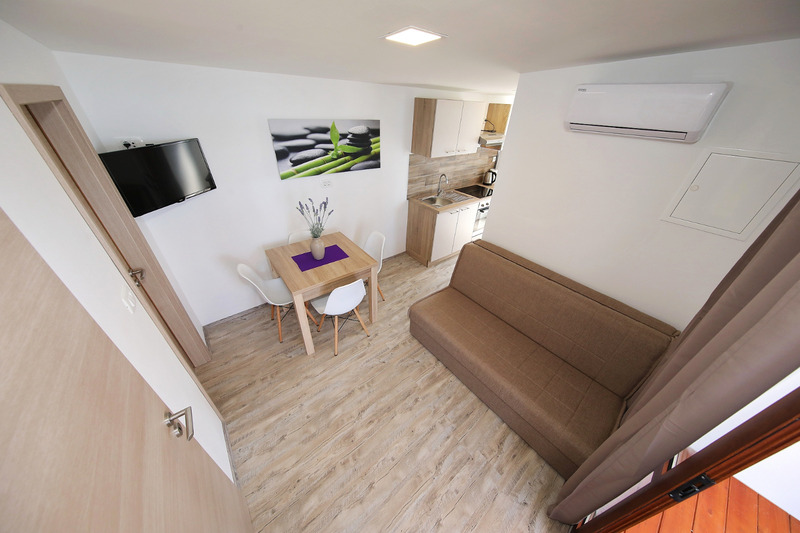 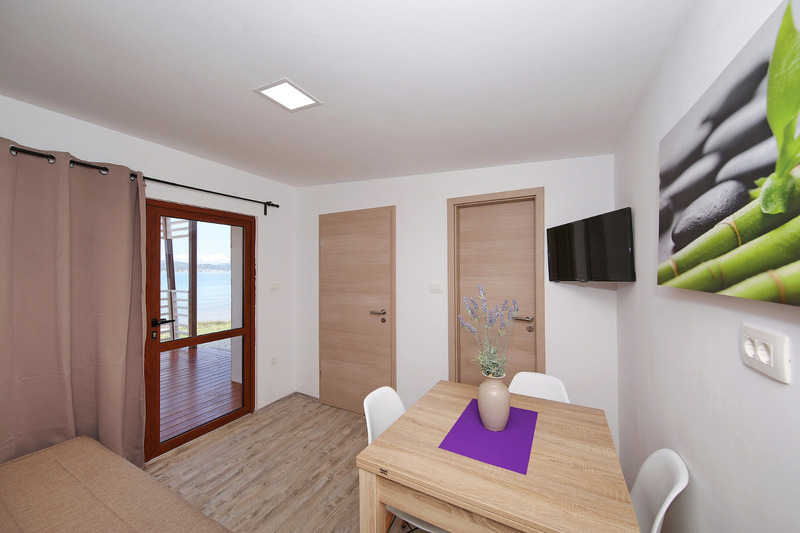 This well-equipped mobile home, Pen Shell 01, is located directly on the beach in Biograd na Moru, in the area of Kumenat, about 1.5 km from the centre of Biograd following the promenade by the sea. 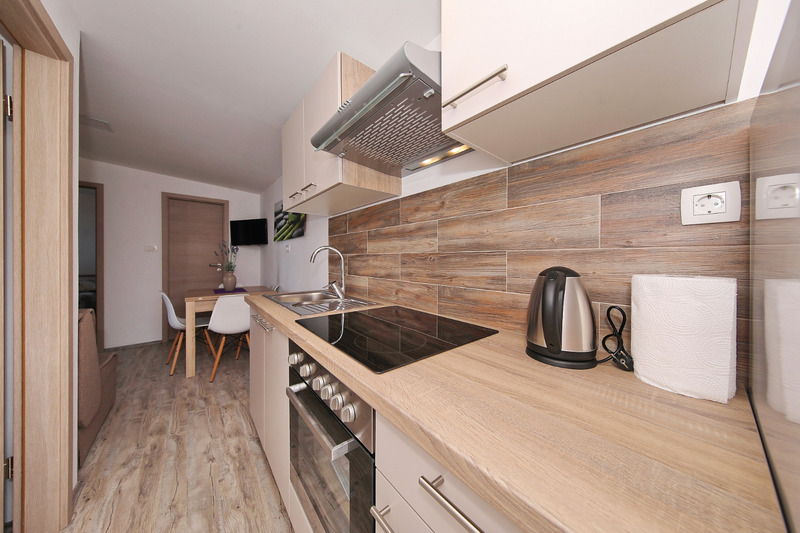 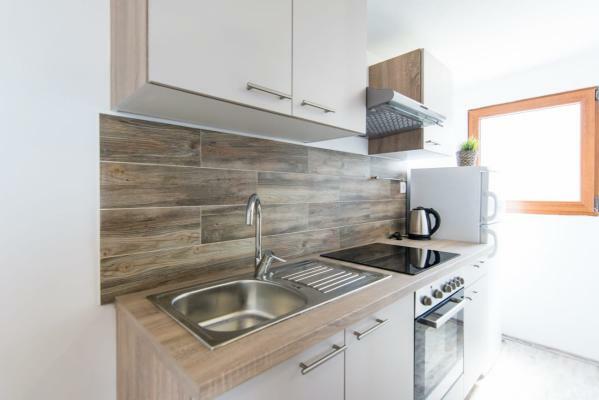 The kitchen of this mobile home to rent is equipped with a cooking plate, oven, kettle, freezer and refrigerator with freezer compartment. 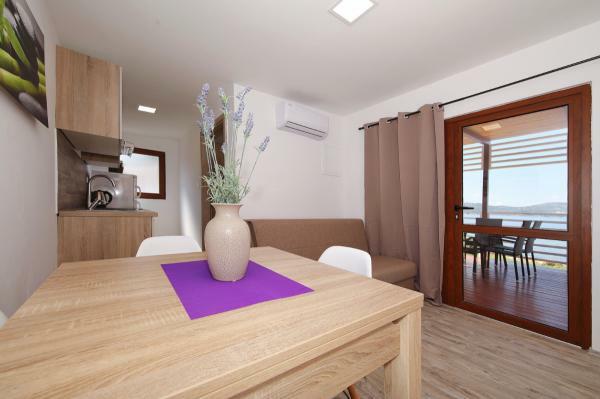 In the living room, equipped with satellite TV, air conditioning and Wifi (WLan) internet, which is in the same area with dining room and kitchen, there is a sofa where two people can sleep. 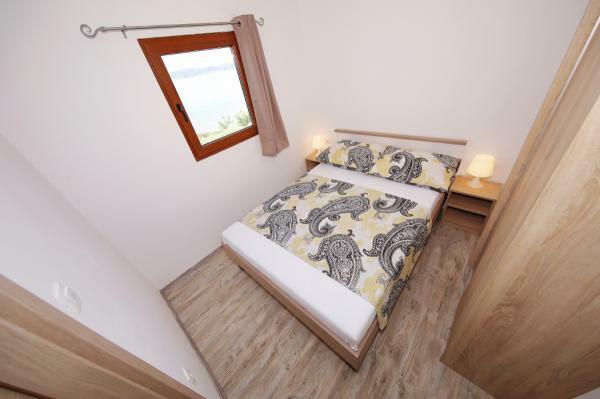 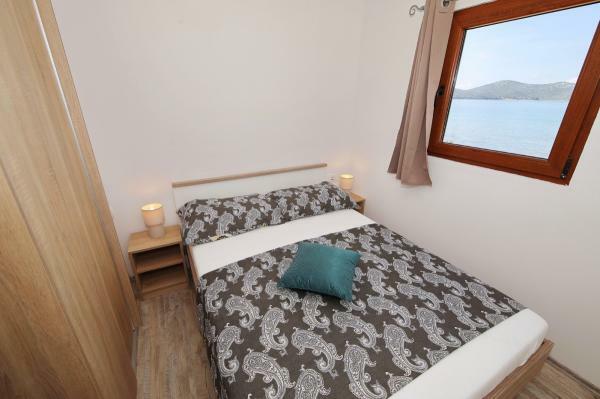 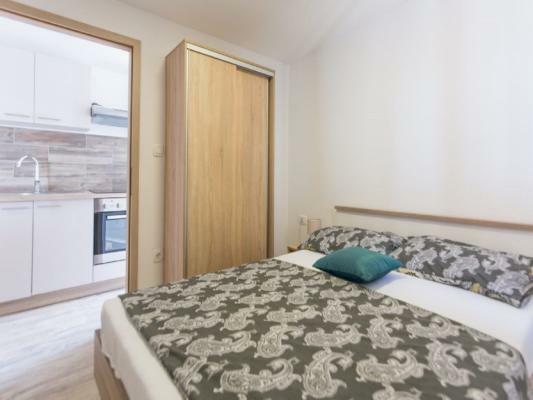 With two bedrooms, both with double beds, up to 6 people can sleep here. 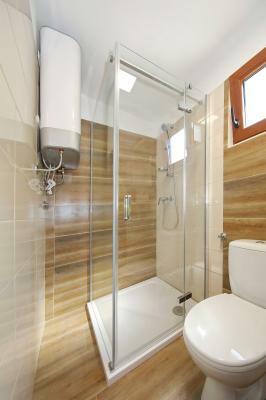 Besides the bathroom with shower, there is also an outdoor shower. 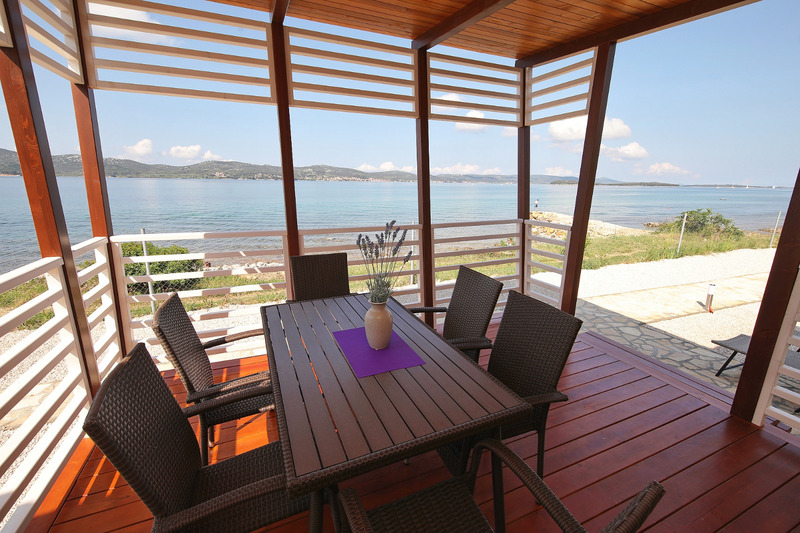 On the terrace with a beautiful sea view, there is a seating set (table and chairs) as well as two deck chairs. 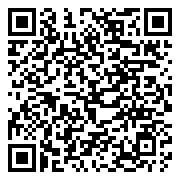 If your pet is smaller, it is welcome for a fee of EUR 5 per night per pet. On the same ground there are two more identical mobilehomes, All three mobile homes are sharing one buoy for the boat.